May Day has an interesting dichotomy of archetypal images associated with it. First, is the ubiquitous maypole that young women dance around and decorate, perhaps after being crowned May Queen, hearkening back to the Celtic celebration of Beltane. The second image is of the worker as May 1 is International Workers’ Day. May 1 is the Feast of St. Joseph, the patron saint of workers, and marked the day when farmers would take a day of rest. In Chicago, 1884, the then Federation of Organized Trades and Labor Unions proclaimed that starting May 1, 1886, eight hours would constitute and fair and legal day’s labor. 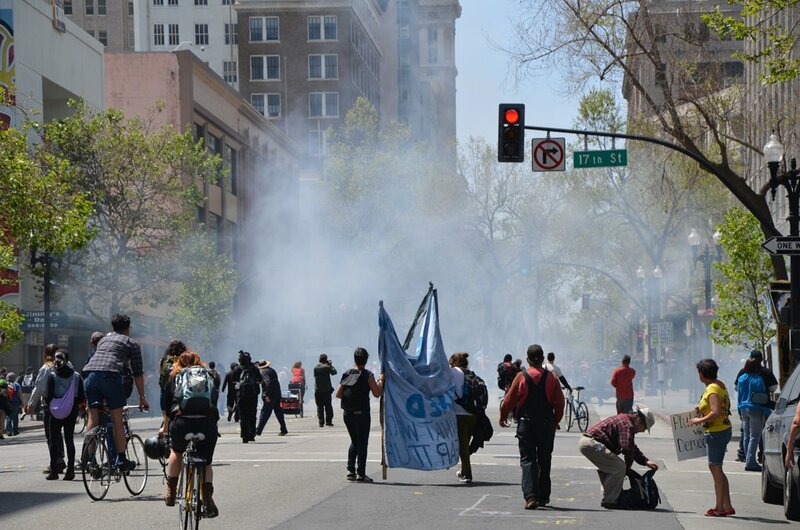 With the Occupy Movement reviving on 5/1/12, it seems appropriate to offer a photo from Occupy Oakland’s May 1st Strike. “The Kissing Sailor” is one of the most iconic images of the 20th century. 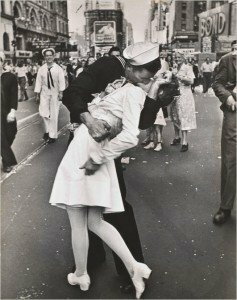 When Alfred Eisenstaedt took the photo in Times Square on V-J Day, he didn’t know the names of the man and woman in the photo. In a new book, authors George Galdorisi and Lawrence Verria believe they have the scoop on a certain sailor and nurse, or as their friends and family know them George Mendonsa and Greta Zimmer Friedman. 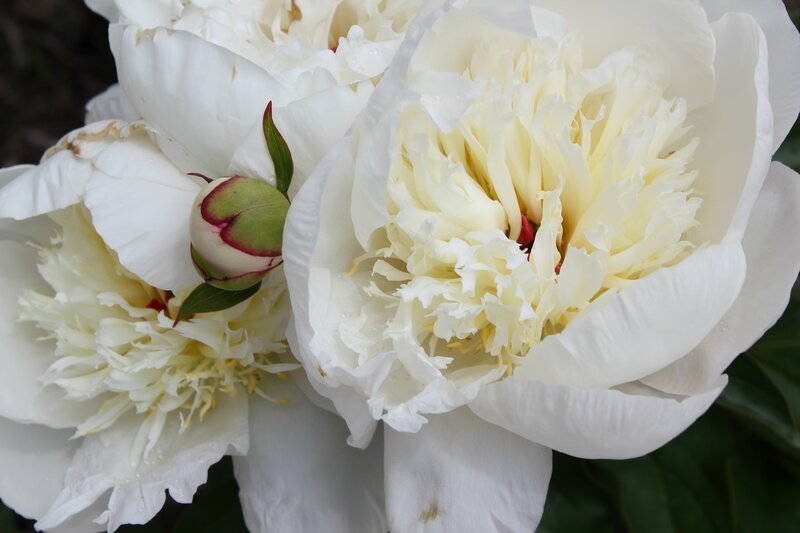 Temperatures in the eighties and flowers in bloom mean that summer is here– even if it the beginning of May! This entry was posted in Just Because and tagged May, National Photo Month, Photo of the Day, Photography. Bookmark the permalink.